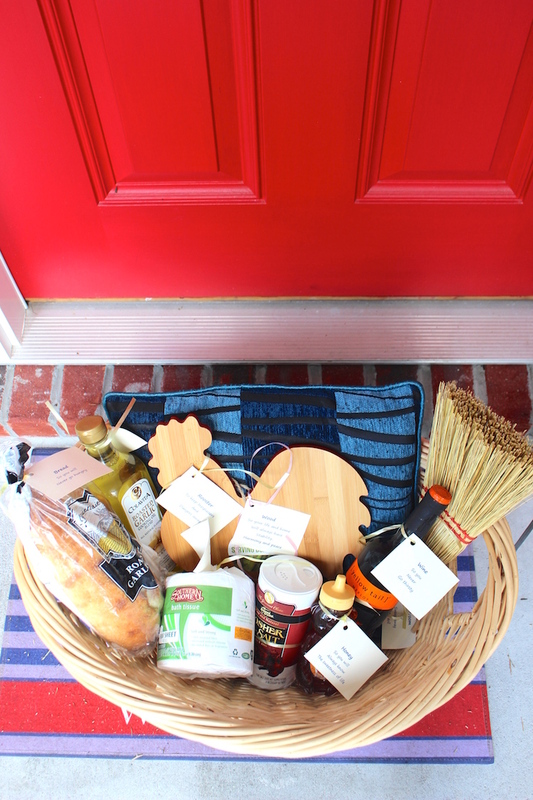 Have you ever wanted to give a creative and personal housewarming gift that is sure to give a warm welcome?! You have come to the right place for ideas that are sure to get you some gift giving bonus points! My Aunt Joan has become known in our family for her creative gifts and she was kind enough to let me share this special one with you. The KEY here is the messages behind each item so be sure to read each one. 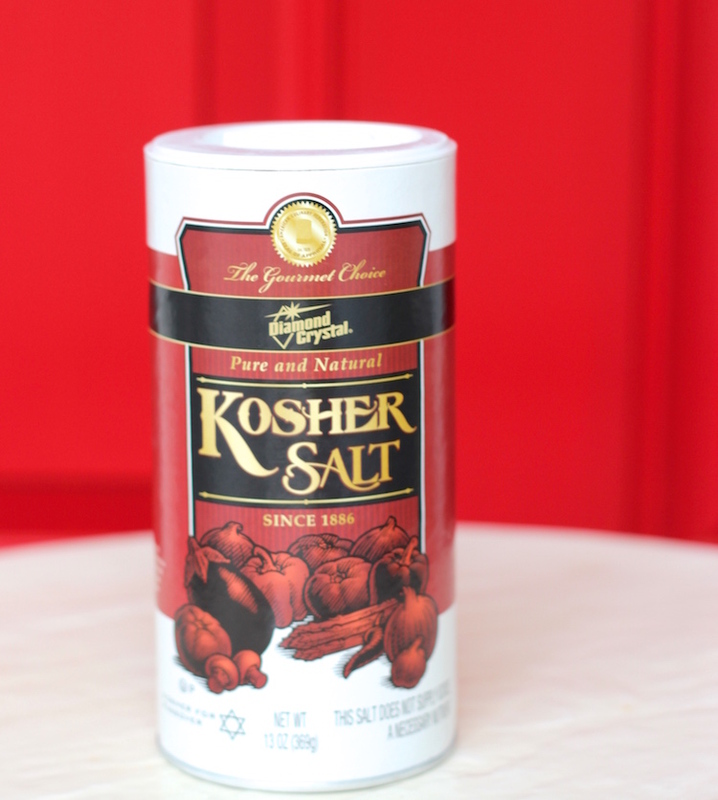 My favorite involves a little extra change to the usual gifts! 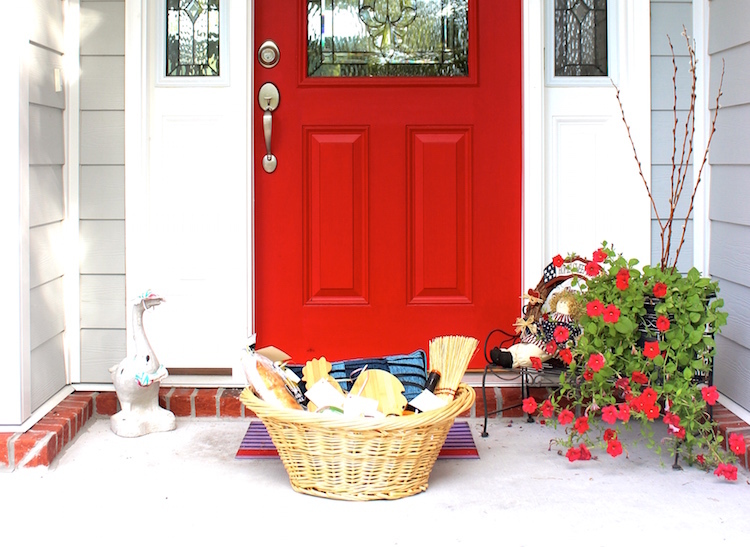 My Aunt Joan included all of the items listed below (all useful for a new homeowner!) and added tags with the messages attached with ribbon on each one. 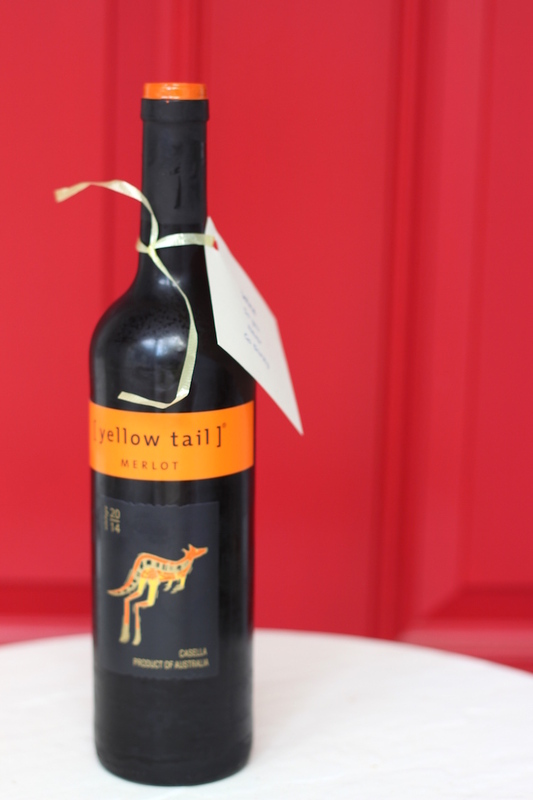 Wine: So you will never go thirsty. Wine, or the new homeowners favorite beverage will be especially appreciated after a long day of moving! 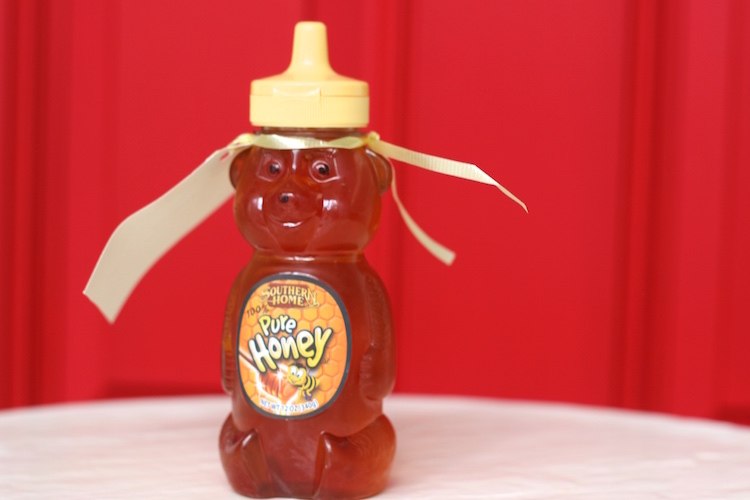 Honey: So you will always know the sweetness of life. Don’t forget to throw it over your shoulder for good luck! Olive oil: So you will always have good health. 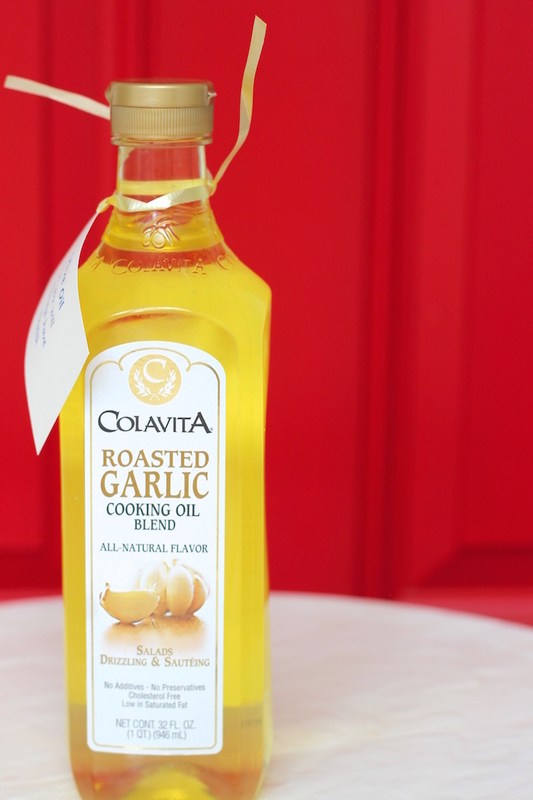 This gift is even better when it’s garlic olive oil! Wood: So your life and home will always have stability, harmony and peace. 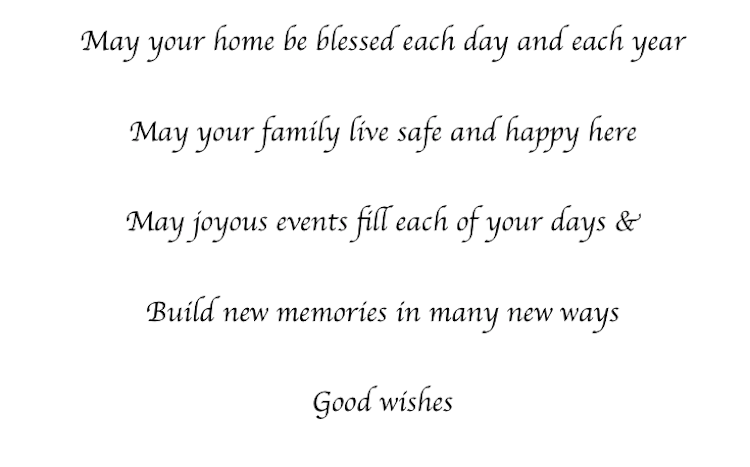 Another idea for this is to use a wood frame and put a picture of the new home inside or the new home blessing. Rooster: To keep trespassers and dangers away. 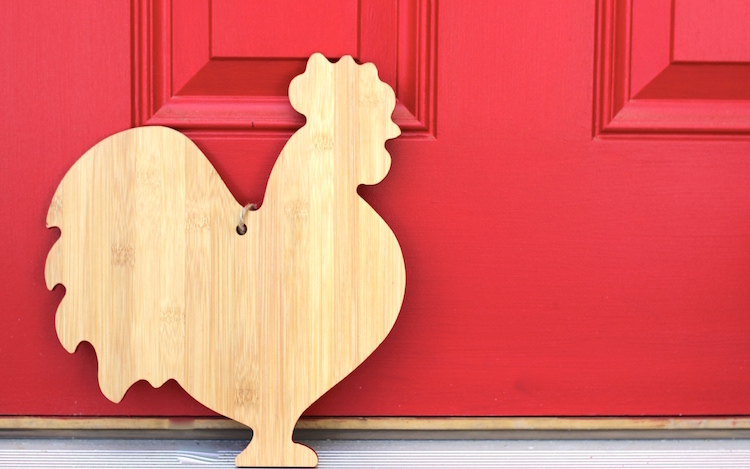 Everyone should have a rooster in their house, don’t you think? 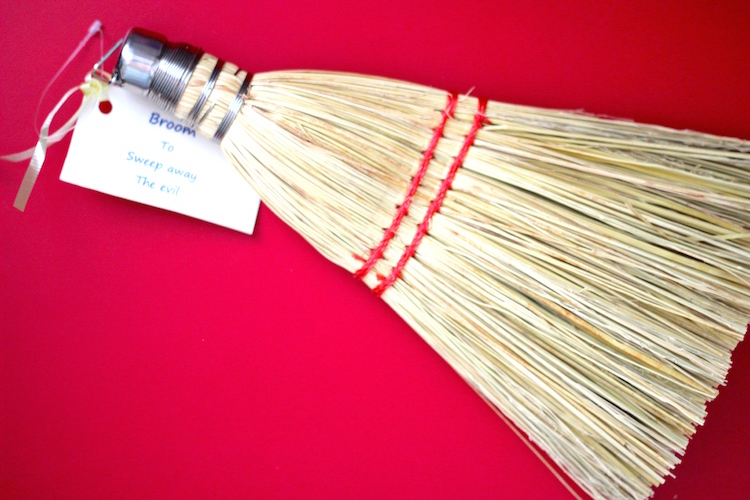 Broom: To sweep away the evil. Whoosh! Coins: So you will always have good fortune. This one is my favorite (and not because it’s money!). The coins were specific to represent the 6 states that my Aunt Maribeth and Uncle Paul (the gift recipients) have lived. 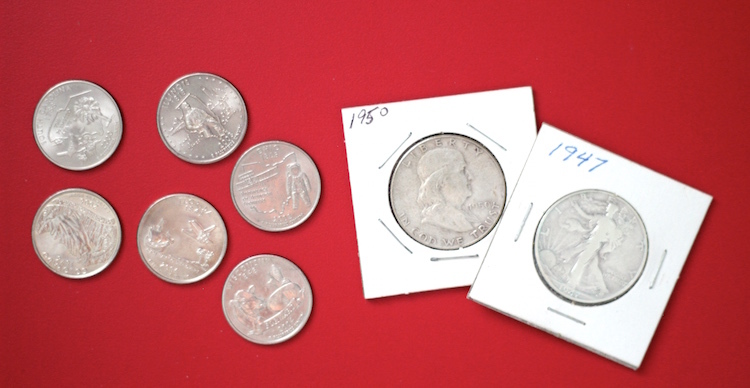 Also included, were 2 half dollars that are from the years my Aunt and Uncle were born. Cha-ching! 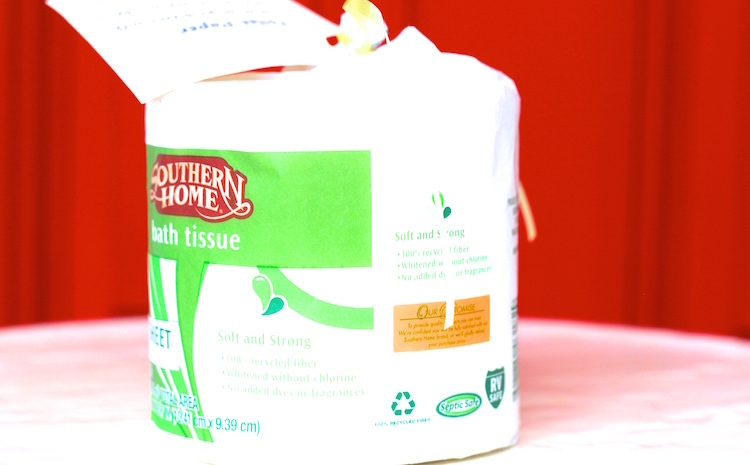 Toilet Paper: So that all problems with the new home will be easily solved. 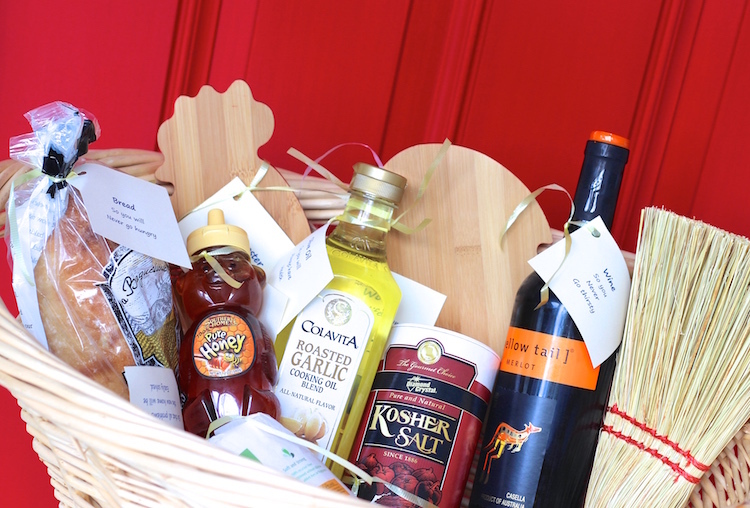 This is such a practical and useful gift, especially if they just moved in! 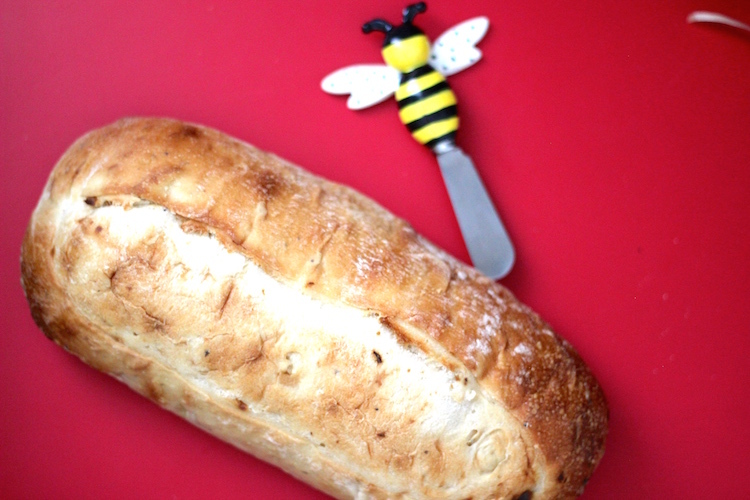 Bread: So you will never go hungry. 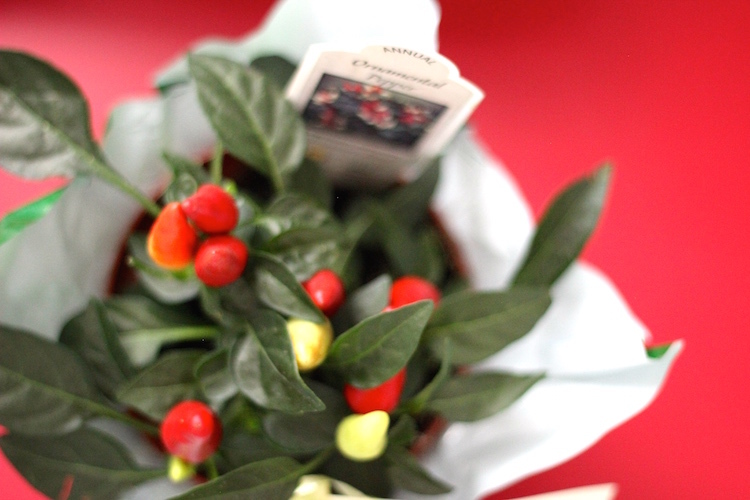 Plant: So you will always have life. I also want to say thank you to the gift recipients – Aunt Maribeth & Uncle Paul for opening up your home to us this week (and for sharing some of the wine and bread perhaps?!). 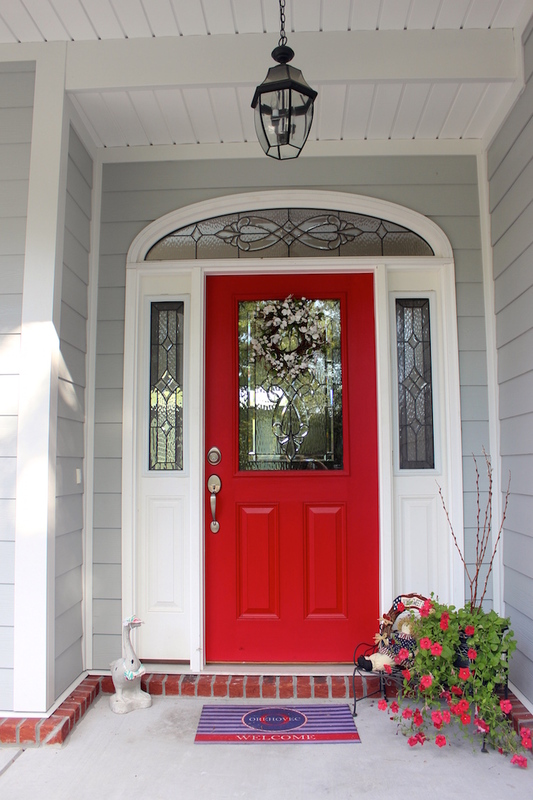 Your home is gorgeous and I am in love with your red doors!